Strolling around museums in Hanoi gives a glimpse into Vietnam’s history and its people. Address: 290 Lac Long Quan St., Tay Ho Dist. What impresses visitors about this museum is that it displays hundreds of bombs and explosives, including a bomb weighing nearly 7 tons. Bombs weighing from over 100 kg to nearly seven tons are displayed in a B52 “Super Flight” aircraft at the main exhibition hall in the museum. The museum also houses the largest torpedo ever known, with a diameter of over 2.5 meters, containing 180 kg of C4 explosives. According to documents collected, this type of mine was used to destroy Ham Rong Bridge in northern Thanh Hoa province in 1946. The cost of researching and producing these mines was estimated at more than $1 billion (in 1965 prices). Other objects include pineapple and pomegranate-shaped mines that were used by the Viet Cong to fight against the enemy from 1947 to 1954 (during the French colonial war), and a bomb weighing 500 kg disassembled by Bombing Team No. 83, 151 Regiment, at Road 13, Ta Khoa Wharf in the Northwest Campaign of 1952. The museum is also quite close to West Lake, allowing visitors to take a stroll around the nearby area. Address: 36 Ly Thong Kiet St., Hoan Kiem Dist. Vietnamese women are a symbol of great sacrifice and unyielding spirit and their life and times are displayed at the Vietnamese Women’s Museum as a way to honor them. Built in 1995 and undergoing renovations in 2010, this is the only museum in Hanoi equipped with an automatic translation system in the three languages of Vietnamese, English and French. The museum has collected around 28,000 objects relating to Vietnamese women, classified into special collections such as textiles, metals, wood, paper, pottery, leather, horn, and glass. The objects have been collected by the museum and the Vietnam Women’s Union from all over the country since the 1970s and each previously belonged to women whose identities are known. They tell their story or reflect on a historical episode that was personally experienced, which gives great emotional resonance. It is divided into three different sections for permanent exhibition: “Women in the Family”, “Women in History”, and “Women’s Fashion”. The first focuses on the role and position of women in the family during wedding rituals in patrilineal and matrilineal societies. Several objects, such as a gift box for an engagement and bridal costumes, illustrate these rituals. Vietnamese women played a very important role during the country’s resistance wars. The second showcases personal objects such as a ring, a straw hat, and a photograph representing major events and heroines to illustrate the different aspects of women’s daily life during conflict. The women’s fashion section exhibits diverse fashions and costumes made using traditional techniques of many of the 54 ethnic minority groups in Vietnam. Embroidery from the Hmong and Thai people are featured, for example, as are the batik techniques used by the Hmong and expressions of personal beauty, with jewels and betel and areca nuts. The museum also holds special exhibitions, such as Worshipping Mother Goddess, introducing the key values of Mother Goddess Worship through the voices and experiences of worshippers in Hanoi and nearby provinces, so that visitors may better understand this typical folk belief of Vietnamese. Address: 18 Hoang Quoc Viet St., Cau Giay Dist. The museum is located inside the Academy of Science and Technology of Vietnam and is one of the new modern museums in Hanoi, opened in May 2014. Nearly 1,400 items are displayed in a modest area of more than 300 sq m within a total area of 1,000 sq m, summarizing 3.6 billion years of history and nature in Vietnam. There are different sections, such as “Life History”, with fossils from four periods of geological development: Precambrian Age (4,500-541 million years ago), Paleontology (541 to 252 million years ago), Middle Ages (252 million to 66 million years ago), and New Age (66 million years ago). Human beings’ evolution is vividly described with plastic models called “The Skillful Person”, “The Straight-Standing Person”, and “The Intelligent Person”, starting from primate forms evolving into different races and eventually modern humans. There a couple of parts in the animal exhibition, such as “Vertebrates World” and “Marine Life”, with diverse and abundant seahorses, starfish, coral, and oysters. The “Today’s Insects” area, which have actually existed for about 400 million years, includes dragonflies, tiger crayons, mantis and beetles. The museum also has 3D and 4D movie rooms with four shows a day, while six scientific films are screened with themes of space, sea, dinosaurs, insects, fish and human evolution. Address: 1 Hoa Lo St., Hoan Kiem Dist. 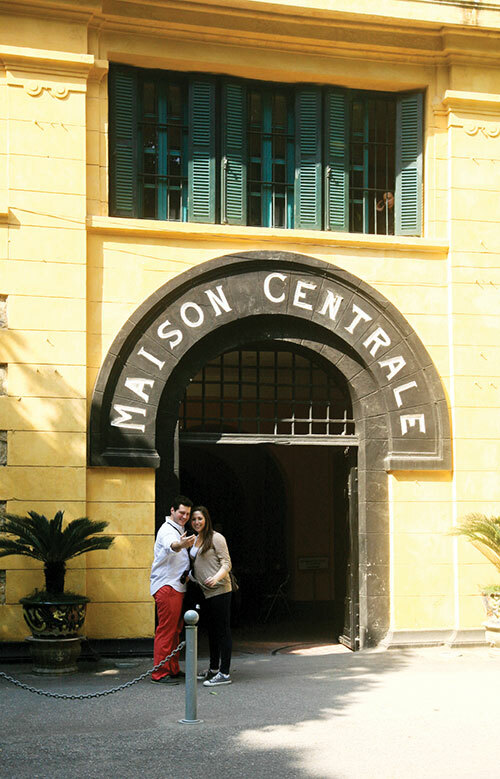 La Maison Centrale, the prison on Hoa Lo Street in Hanoi, was built by the French in 1896. It has a total area of more than 12,000 sq m and was one of the largest prisons in Indochina at that time. From 1896 to 1954, it was where a generation of Vietnamese freedom fighters against French colonial rule were held. It regularly housed about 500 prisoners in strict and severe detention conditions. The most horrible thing at Hoa Lo is the medieval guillotine. Later, during the American War, Hoa Lo housed captured American pilots, who waited out the war in the sprawling compound and nicknamed it the “Hanoi Hilton”. After the war and before 1995, the prison was still used to lock up criminals. Today, while most of the old prison has been torn down and half of the location has been replaced by Hanoi Tower, one section remains, restored and turned into a museum highlighting Vietnam’s struggle for independence. The displays are labelled in Vietnamese, but the messages are not hard to figure out. Hoa Lo is one of the ten most-notorious prisons in the world and the top five scariest places in Southeast Asia. Visitors interested in Vietnamese history during the French and American wars won’t want to miss it. Address: Nguyen Van Huyen St., Cau Giay Dist. Tickets: Free for children under 6, VND10,000 per child, VND20,000 per teenager, VND40,000 per adult. Opened in November 1997, the 43,799 sq m museum focuses on the 54 recognized ethnic minority groups in Vietnam. According to figures for 2016, the largest ethnic groups are Kinh (Viet) with 85.7 per cent, Tay 1.9 per cent, Thai 1.8 per cent, Muong 1.5 per cent, Khmer 1.5 per cent, Hmong 1.2 per cent, Nung 1.1 per cent, and Hoa 1 per cent, with all others comprising the remaining 4.3 per cent. As the country is a multi-ethnic nation with over 50 distinct groups, each with its own language, lifestyle, and cultural heritage, the purpose of the museum is to showcase their rich and diverse cultures to visitors in Vietnam. The museum is divided into outdoor and indoor sections displaying objects and information detailing ethnic minority ways of life, from their religious events to symbolic rituals and even houses. The outdoor area exhibits a variety of Vietnamese homes in full-scale replica, with great attention paid to the varying architectural styles. There are also leisure pursuits on display, including traditional water puppetry and calligraphy. Meanwhile, the indoor area can be viewed via a virtual tour and includes the Viet, Muong, Tho, Chut, Tay, Thai, Cao Dai, Hmong-Dao, San Diu, Cham, Hoa and Khmer ethnic groups. There are priceless antiques on display alongside everyday objects such as pipes, baskets and knives. 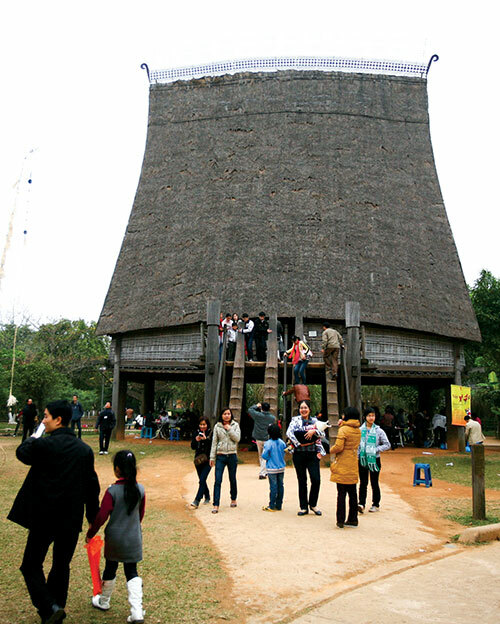 Considered the most interesting museum in Hanoi, it’s a great choice for those who can’t find the time to visit the remote areas where the majority of Vietnam’s ethnic minorities live. Address: 216 Tran Quang Khai St., Hoan Kiem Dist. The museum was originally an archaeological research institute of the French School of the Far East, built in the 1910s during French colonial rule. It was redesigned between 1926 and 1932 by architect Ernest Hébrard. The museum was acquired by the Vietnamese Government in 1958 and collections of artifacts were expanded to cover eastern arts and national history. Located in a spacious area of over 2,200 sq m in a building shaped like a pagoda, the museum is divided into five major sections. Section 1 covers the Stone Age (30,000-40,000 years ago) to 4,000-5,000 years ago, while Section 2 has displays on the time of nation building during the Tran Dynasty. 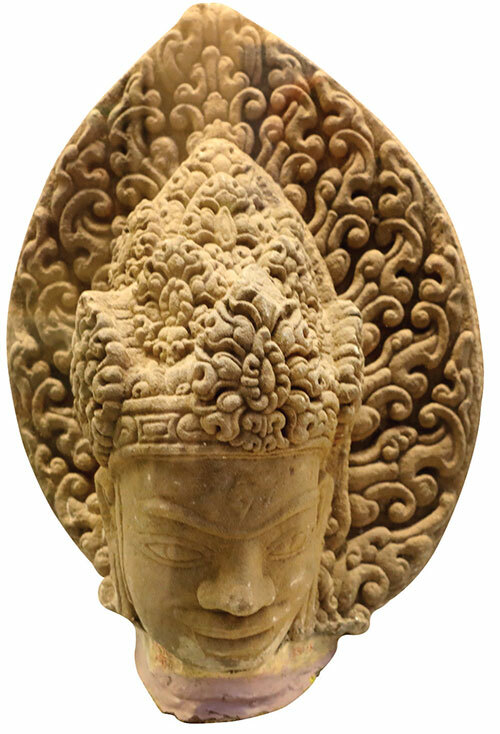 Section 3 features exhibits from the period of the Ho Dynasty to the August 1945 Revolution, Section 4 has Champa stone sculptures, and Section 5 focuses on the Ly and Nguyen Dynasties from the early eleventh century to the middle of the 20th century. 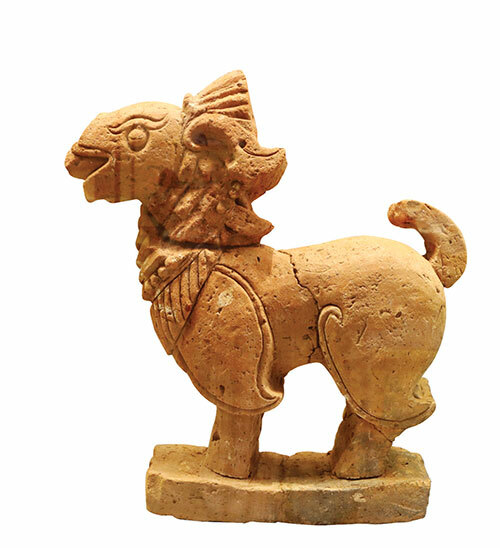 The museum showcases Vietnam’s history with a collection of about 200,000 items, covering the Neolithic age, the Bronze age, the Sa Huynh, Oc Eo, Cham, and Hung periods, the Nguyen Dynasty, and northern Vietnam’s Dong Son culture, which existed from about 1000BC-100AD. It also features various ancient Vietnamese treasures made from gold, black bronze, and precious gems, including a golden seal used during the reign of Emperor Minh Mang, (Nguyen Dynasty) in 1827, golden books from Emperor Gia Long’s reign (1802-1820), a Nguyen Dynasty Thong Trieu crown (worn by the emperor when joining the court), and Binh Thien crowns (worn by the emperor when attending a sacrificial ceremony). All are made from gold and gems (such as quartz and garnet) and natural crystals decorated with symmetrical dragons and clouds./.